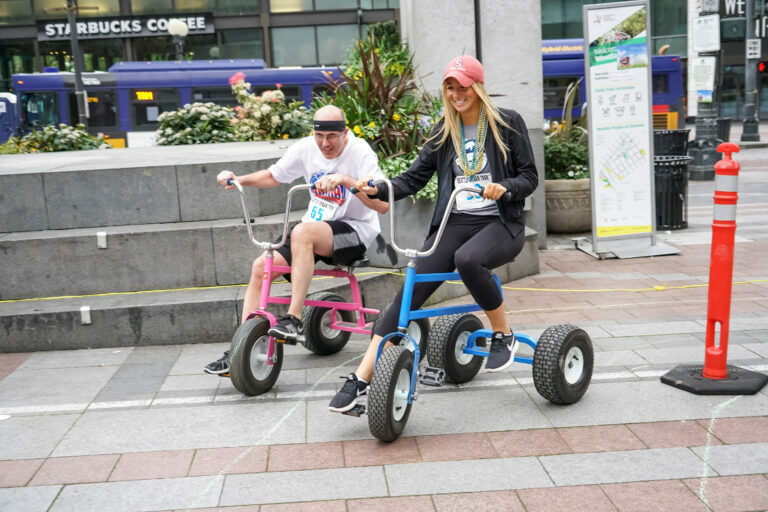 Tricycle races at Westlake Park. Photo by Alabastro Photography. Klondike Gold Rush National Historical Park. Photo by Alabastro Photography. 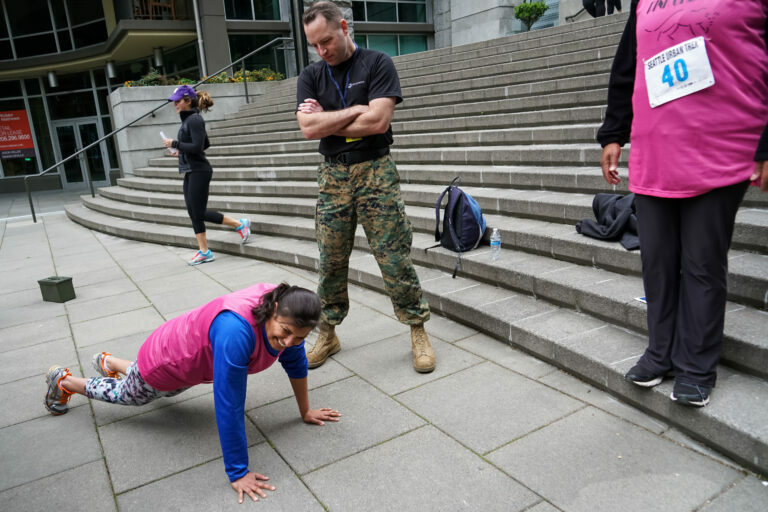 Marines workout at the Harbor Steps. Photo by Alabastro Photography. 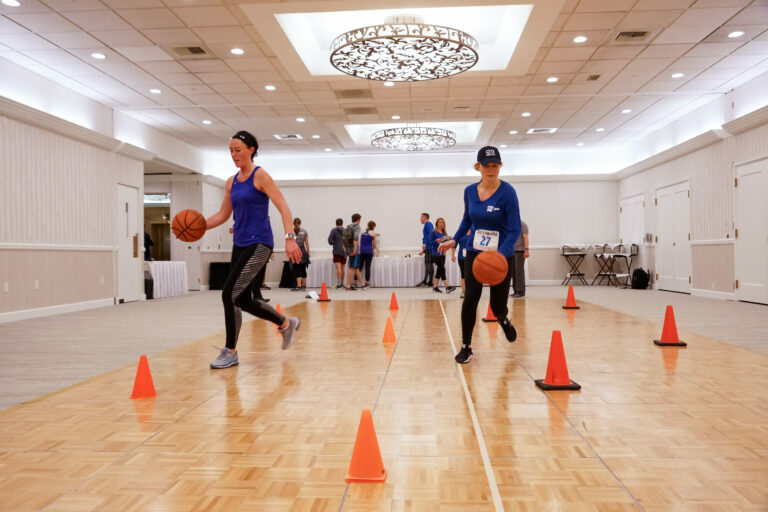 Basketball at the Washington Athletic Club. Photo by Alabastro Photography. Olympic Sculpture Garden activity. Photo by Alabastro Photography. Mini-golf at Flatstick Pub. Photo by Alabastro Photography. Ride the Ducks. Photo by Alabastro Photography. Mortenson Construction Site. Photo by Alabastro Photography. Urban-X, Seattle’s Great Scavenger Race, challenges teams to eXplore & eXperience the city through a series of unique checkpoints. 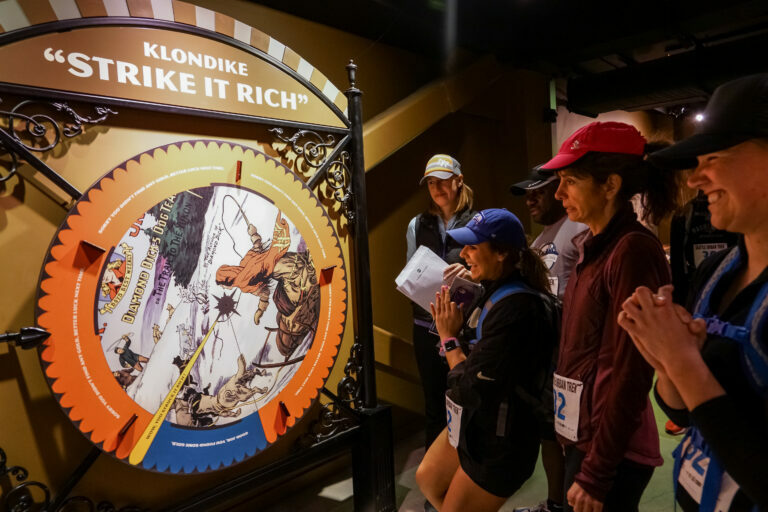 Race “the clock” or walk your way through downtown while completing a series of out-of-the-box challenges before crossing the Finish Line & celebrating your success at the After Party Beer Garden. 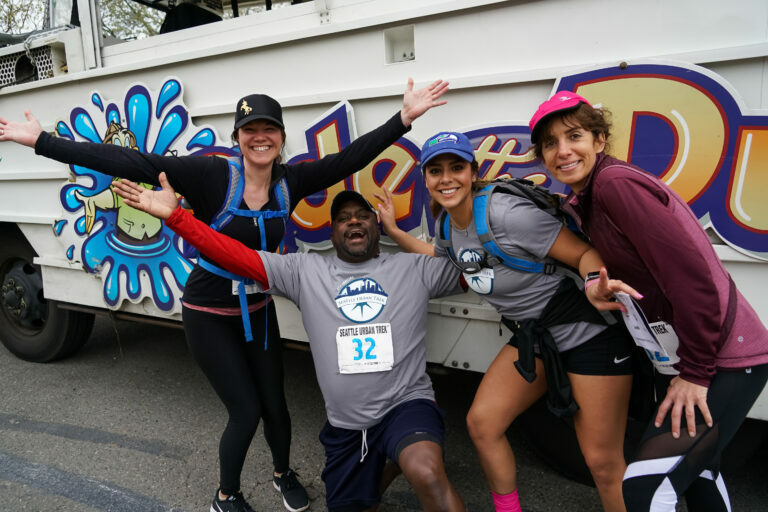 This is not a road race, Urban-X is an adventure race/scavenger hunt hybrid that utilizes both analog & digital elements, & puts your teamwork to the test. 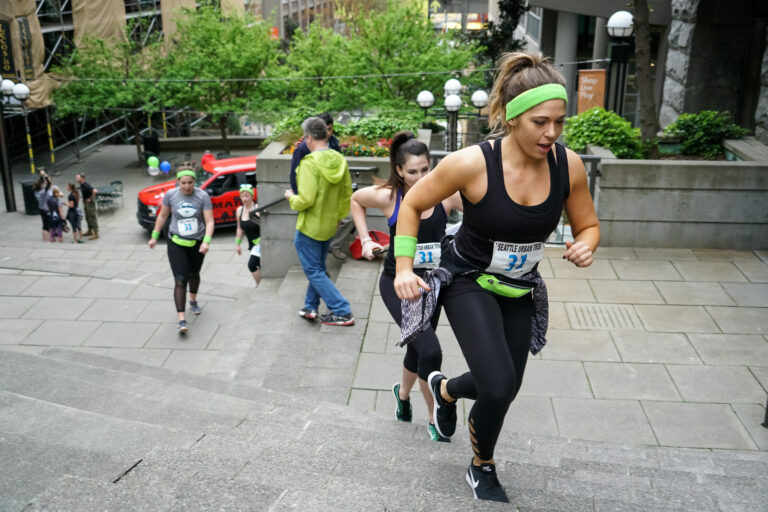 The course will cover 4 – 6 miles across the heart of downtown Seattle. Teams can run or walk the course. Bikes, roller blades/skates and motorized vehicles are not permitted. Teams consist of 3 or 4 people. All members must be 21-years or older. 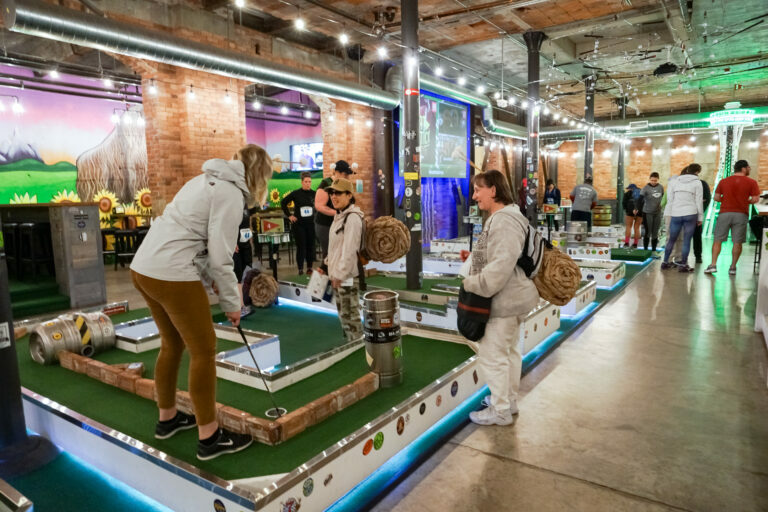 The course is designed to be fun and accessible to generally fit all skill levels, encompassing the core attractions of Seattle. In adventure racing, each team must apply their cognitive skills and physical abilities to the constantly changing terrain of the urban wilderness. You should be able to cover a 4 – 6 mile distance within 3 hours. This is a team sport, with teams made up of three (3) or four (4) members. Teams should always compete as a team, watching for the safety of their team. All team members must check-in together at each checkpoint. Unless otherwise directed, there is no specific path between checkpoints. If race officials designate a route, all teams must follow that path or risk disqualification. The official time is when the last member crosses the finish line. Any teams arriving at a checkpoint without a team member will be disqualified. Stay within visual contact with your teammates or you will be disqualified, unless otherwise directed by race officials. All technology, including smart phones and GPS equipment are allowed. Except when noted otherwise. Athletes may not receive any assistance outside their team members, unless specified by race officials. Race officials maintain the right to dictate areas that are off limits during a race. Teams may not use any sort of vehicle, unless specifically directed. Anyone violating this rule will be disqualified. Any participants caught littering will be disqualified. Athletes should handle all of their trash and dispose of it appropriately. Participants must obey the “Rules of the Road”. Equipment will be chosen at the discretion of the team. 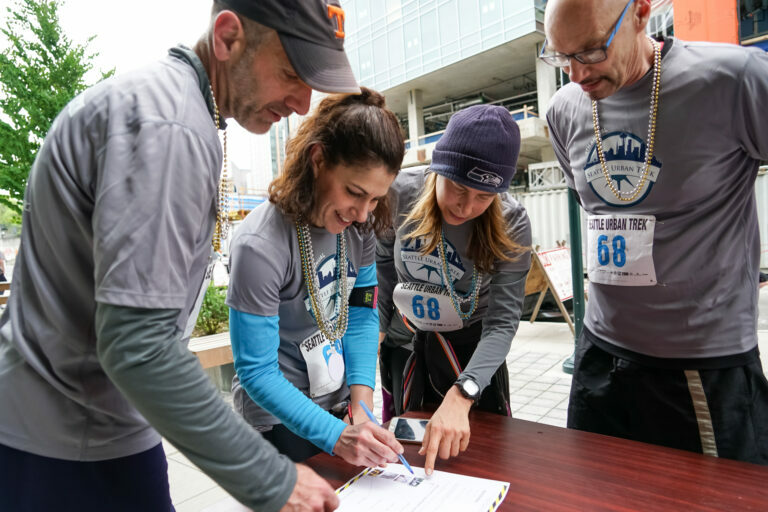 Race officials reserve the right to disqualify or remove a team from the course for health, safety or other reasons, at the discretion of race officials. Race officials reserve the right to set up time limit windows to insure that all teams finish prior to a specified time. Teams that do not finish within that time window may continue racing unofficially by not completing all the checkpoints. It is permissible to switch a team member if needed. Please make sure to register your new person via email to sports@seattlesports.org. Adventure racing is a challenging sport. 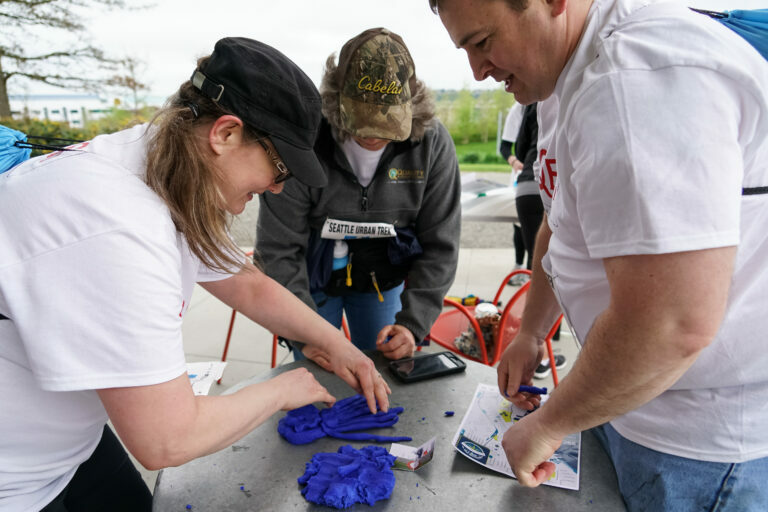 Teamwork and good sportsmanship are integral parts of making it a safe event. Pay attention to the needs of your teammates and other teams. If someone needs help, stop and help them. Don’t enter the race if you haven’t trained and are not physically prepared. Race at the pace you trained for and not the pace of your strongest team member. THIS IS A TEAM SPORT. Urban-X offers a complimentary Bag Check for runners on the day of the race. We recommend that you bring a personal bag that is 12” x 18” or smaller. We will provide bag tags the day of the race. You must show your race number and ID to retrieve it after the race. Bags must be dropped off by 8:30am at “Bag Check.” They will be moved to the finish and available for pickup starting at 10:00am. Bags not picked up by 1:00pm will be taken to the Seattle Sports Commission offices for storage. If you have not contacted us (206-461-5865) to retrieve your bag within two weeks, the contents will be donated to a local charity. Please do not put irreplaceable items or valuables such as wedding rings, cell phones, I.D., wallets or cameras in your bag.